The 4,400 sq. ft. expansion and 11,702 sq. ft. remodel of the medical center included an immediate care facility, a new lobby with a covered drive-up, remodeled reception area, relocation and remodel of the administration area and some additional offices. The Medical Center lobby and port cochere required separation from the existing building with seismic joints due to the difference in structure and mass between the existing and new. 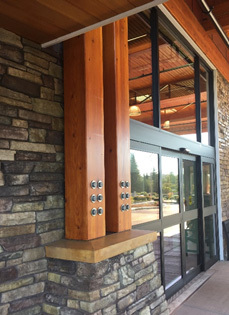 The new structure was designed to meet current seismic code requirements. The Owner requested an eye catching entry and lobby area. 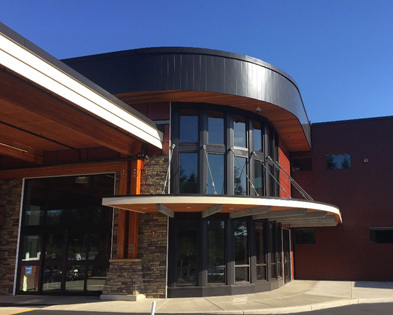 The curved corners of the expansion, exposed timbers and stone veneers immediately draws the patients in when they arrive at the clinic.